The agriculture industry relies heavily on relationships with customers and their great experiences. Customer experience directly influences repeat purchases, referrals, and complaints. Is your dealership strategizing new ways to retain customers and keep a competitive advantage? A great place to start understanding your customer experience strengths and weaknesses is by evaluating key metrics. We’ll take you through the seven most-widely used customer experience metrics and the best ways to collect them. 1. Are your customers satisfied with the support they receive? Customer satisfaction allows you to understand the quality of support the customer receives and lets you know which interactions need improvement. Understanding customer satisfaction is essential for any customer service team. We recommend surveying your customers at the end of each interaction, or at least each support call, with a single question: “How satisfied are you with the service you received?” Customers can rate their satisfaction on a scale from 1 (very dissatisfied) to 5 (very satisfied) or with a simple thumbs up or thumbs down. At the end of an AgriSync session, customers are asked to rate their advisors on a scale from 1-5 stars. The advisor can use this information to improve his own performance, and the support manager can use this information to evaluate the performance of his team and individual technicians. 2. How likely are your customers to recommend you to their peers? This rating measures how willing customers are to recommend your products or services to others. Customer experience can be measured in a variety of ways. One of the most widely-used means of measuring customer loyalty is knowing how likely they are to recommend you to a peer. This survey asks customers: “How likely is it that you would recommend [dealership] to a friend or colleague?” on a scale of 1 (not at all likely) to 10 (very likely). This could refer to a specific product or service or a brand in general. To calculate your recommendation likelihood score, group responses into three categories: Promoters (rated 9-10), Passives (rated 7-8), and Detractors (rated 0-6). Subtract the percentage of detractors from promoters and arrive at your score. Anything below 0 means you need to actively work to improve your score. A score between 0-50 is considered good, while anything above is considered excellent. 3. Can your customers rely on your team to solve their issues? Customer Effort Score helps you determine the effort required by a customer to accomplish a task, such as resolving a support issue. You can simply ask: “How much effort did you have to expend to handle your request?” on a scale of 1 (very low effort) to 5 (very high effort). The harder it was for them to get an answer, the worse their experience. Interacting with your dealership and using your products should be as easy as possible. When a farmer has a service plan, they expect you to solve their problems. They aren't paying for a service plan to get the runaround and ultimately rely on their own efforts and manuals to figure out their problem, especially not when they are broken down in the middle of a field during harvest. 4. How quickly do you respond to customer's issues? Response Time measures the amount of time it takes you to initially respond to a customer question. Customers expect fast response times, especially in this digital age. When dealerships don’t meet customers’ expectations, they become frustrated. Response time is measured by how long it takes from when the customer first creates a support ticket, to the time they receive their initial response. How quick are you responding to your customers? When it’s peak voicemail season, does your dealership have a system in place to ensure that every customer is answered in an efficient manner? 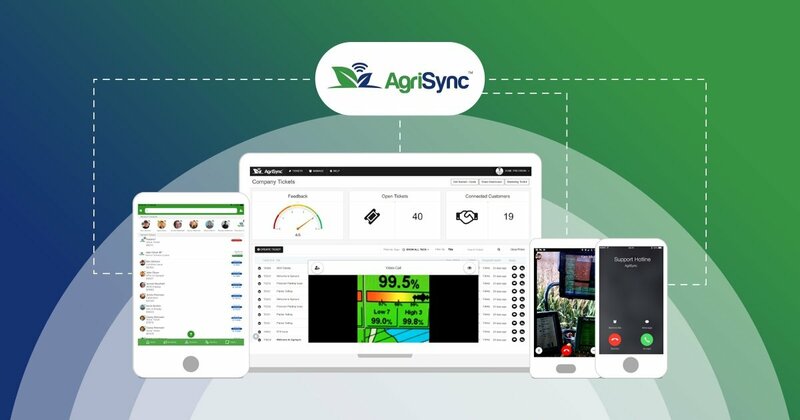 Many dealerships have turned to AgriSync’s VoiceHub™ to effectively manage and track customer calls while freeing up their personal voicemail. 5. How long are your farmers left out in the field before their issues are solved? Problem Resolution Time measures the average amount of time it takes to solve an issue from the time the initial ticket was submitted. Downtime can be detrimental for farmers, especially during peak times like planting season. Problem Resolution Time measures the time it takes to resolve a customer support interaction from start to finish. This metric includes time spent interacting with customers on calls, email, chat, apps or anything else—as well as the time between interactions. Prior to peak seasons, make sure your team has a plan in place to scale your support and reduce farmer downtime. 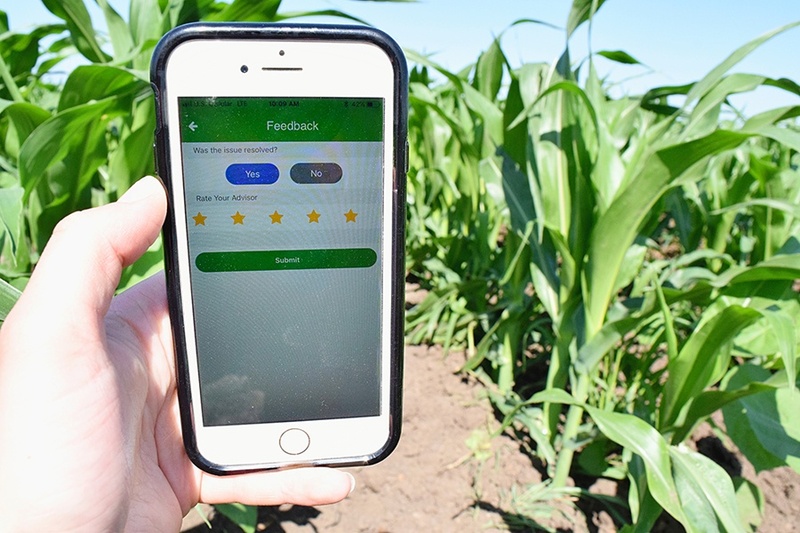 Prepare for busy seasons by updating to the latest version of the AgriSync app, getting familiar with best practices, and attending webinars with tips for exceeding customer expectations. 6. Are customers referring you to their peers? Referrals or word of mouth recommendations are one of the most important revenue drivers in agriculture. When customers are happy, they tell their friends. Earlier we discussed recommendation likelihood, which measures the willingness to refer, but only tracking actual referrals and reviews will give you the real numbers. Tracking referrals and reviews requires a combination of social listening and customer referral programs. Are your customers leaving reviews online? Can you ask customers how they heard of you or who referred them? 7. How many customers are taking their business to competitors? Retention Rate is the percentage of customers who didn’t make a repeat purchase. Retention rate helps get a clear picture of how many customers are leaving your dealership to take their business elsewhere. Pinpointing exactly where are customers dropping off is very important to improve retention and customer loyalty. To calculate your retention rate, take the number of customers lost in a period, such as a month or year, and divide it by the total number of customers at the beginning of the month or year. A good annual retention rate is between 5-7%. You can’t initiate lasting, impactful change in customer experience overnight. It requires a series of small steps building toward a specific goal. A great place to start is by measuring key metrics that inform the changes that should take place. Here’s to seeing revenues climb with a well-defined, measurable customer service plan. Get this complimentary white paper with 5 questions to evaluate your typical customer’s experience and 6 strategies to make it and your bottom line better.